Gina has been involved in “traditional” strength training and running half marathons for many years. When she moved to San Clemente from San Diego, she was looking for a place to work out with a trainer who would provide a focused, disciplined strength and cardio challenge. She found Val Hedlund who had just opened her kettlebell studio in 2009. Val introduced Gina to kettlebells and showed her how she could make serious strength gains with a single tool that could replace almost all of the “traditional’ strength training equipment that she had been using for years. After a week, Gina was hooked and began her strength practice with kettlebells. Gina worked hard with Gabby to prepare herself for the StrongFirst (SFG) Instructor Certification. After months of training the “hard style” kettlebell techniques and a rigorous three day certification under the tutelage of Pavel Tsatsouline (the man who introduced the Russian kettlebell in the West) and Dan John (world renowned Strength and Conditioning coach) she passed all of the strength and written tests and received her Certification in 2013. Due to her team work ethic and her ability to demonstrate exceptional kettlebell technique, she was selected by her Team Leader and Assistant Coaches to assist at other SFG Certifications.  She has been teaching and continuing her kettlebell practice at Pacific Strength in San Clemente, California ever since. Gina believes that you never stop learning. As in life, strength training is a continuum; a continuous progression or sequence of events where small gains yield big results. Gina has a Bachelor’s Degree in Behavior Science with an emphasis in Human Resources Management and a Master’s Degree in Organizational Management. She is currently SFG Level 2 certified and loves teaching classes at Pacific Strength.